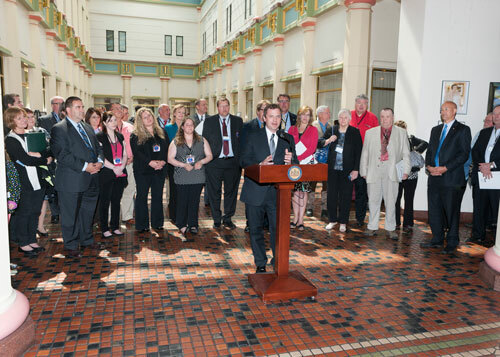 Tuesday, April 21, was “Small Business Day” at the state Capitol in Harrisburg. A news conference held by the National Federation of Independent Business (NFIB) to recognize the occasion featured state Rep. Tommy Sankey (R-Clearfield/Cambria) as one of its guest speakers. Sankey, an NFIB member himself, is part of Sankey Enterprises, his family’s third-generation crane and hauling business in Osceola Mills.